“Some ammunition has been stolen”. That’s a dreaded statement that no one wants to hear, especially the U.S. Military deployed internationally. Unfortunately, it happened. 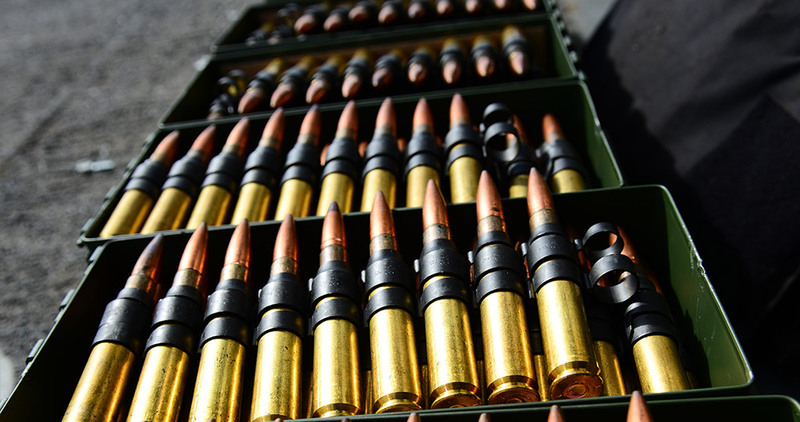 U.S. ammunition being stored in a foreign country had been stolen from a site the foreign government had provided to the U.S. in 2014. It was clear that a more secure solution was necessary. The U.S. Military moved their ammunition to the same controlled site that the foreign military used to store its ammunition. While this was more secure than the previous site, it had its own security challenges. With the continued threat of ammunition theft, it was imperative to use a building that could defend against a forced entry attempt. However, the existing buildings at the new site had become dilapidated due to age. Another challenge at the new site was access. Since this site shared ammunition storage between the U.S. and foreign militaries, personnel from both sides were required to be present any time ammunition was removed from storage. The site was in need of critical security and access improvements, not just for the U.S. Military’s ammunition, but for the foreign military’s as well. Stolen ammunition is a serious security issue, no matter who it’s stolen from. Armag manufactured a custom magazine with two physically separate storage areas in a single unit, similar to the one pictured above. The Office of Security Cooperation (OSC) collaborated with the Bureau of International Narcotics and Law Enforcement Affairs (INL) and went to work to address the unique security challenges for this site. 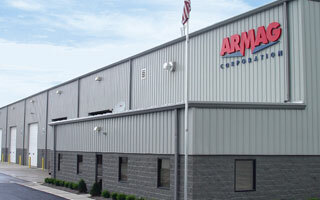 The solution they chose was a single Armag custom magazine with two physically separate storage areas. 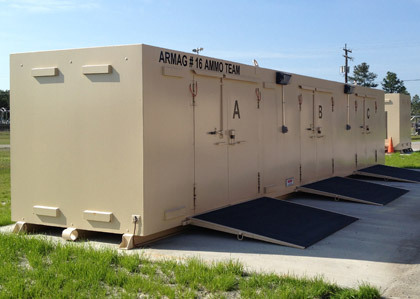 The robust construction of the Armag magazine provided the required physical security, while the two compartment storage areas provides independent access to each military’s ammunition. As an added value, the Armag magazine was also the quickest and most cost effective solution available. In the future, the site may be relocated. If it is , the Armag magazine can be easily relocated and used for the next few decades while the dilapidated concrete facilities will be left behind. We applaud the efforts of the OSC in solving this sensitive issue and bringing needed ammunition security to one of our allied nations.